Relentless movements. Back and forth. To and fro. All of that, and not enough food. Enough diluted fruit juices (I hope). Honestly, what else could one get up to in such a bed ridden state? 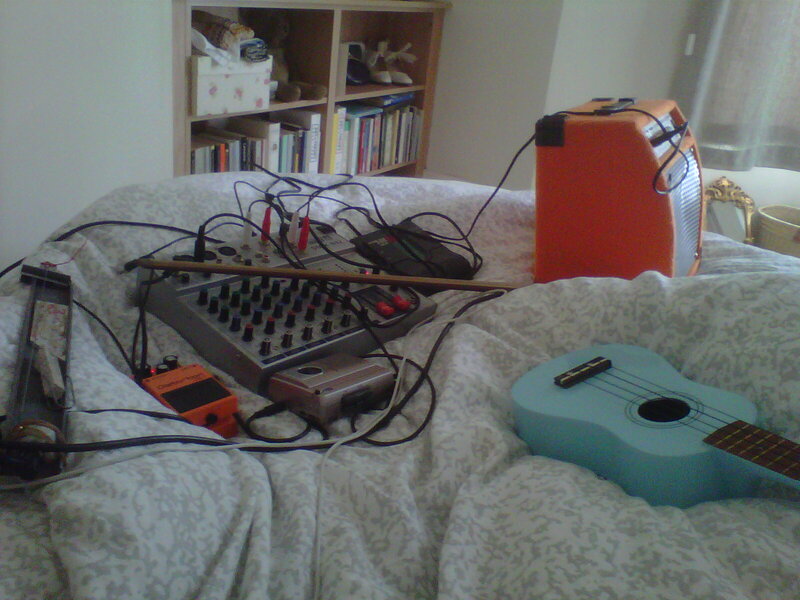 It just had to involve a violin string wrapped around some metal, ye olde uke, a bamboo flute and a tape. Crude bowel movements recruited and recorded with a hot water bottle on my stomach throughout. You can tell everybody, but I’m just gonna ape for some toast, possibly with an avocado based topping.